Precast concrete’s ability to adapt to many different functions makes it a favorite of architects, engineers, and contractors alike. Precast concrete’s aesthetic versatility allows it to assume virtually any color, form, and texture, facilitating facade integration and historic compatibility. Its off-site, made-to-order production cycle also means scalable performance, economical production, and allows for deconstructive and adaptive resuse. Precast producers can translate precast concrete to fit whatever goals an architect or designer conceives. Incorporating a variety of colors, textures, and finishes makes each architectural precast concrete project a custom fit. Facade treatment options also include other treatments, such as formliners, reveals, rustications, thin brick, stone, and tile. 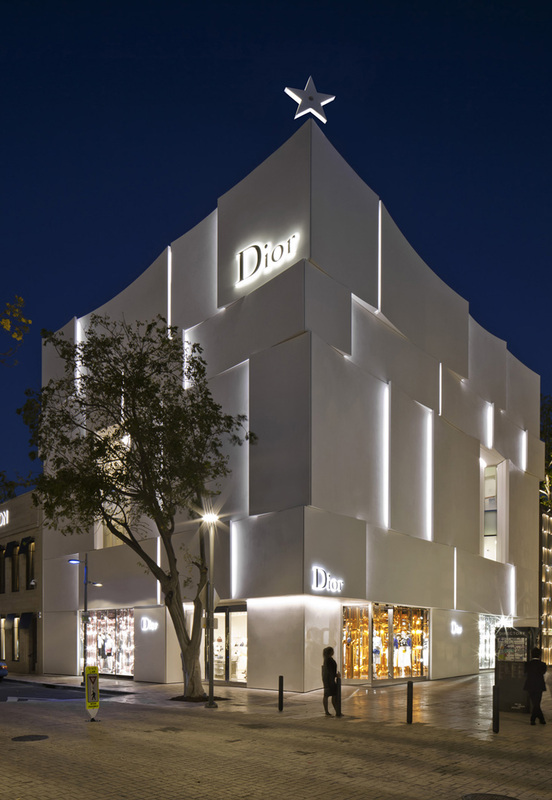 The Dior store in Miami was designed to reflect the couture brand’s luxury image of refined elegance, innovation, and a sense of delight. Along with providing the flexibility to achieve the curved panel design, precast concrete also delivered hurricane-resistant performance, which is critical for the waterfront community that regularly faces strong winds, salt air, and heavy rains. From NFL stadiums, office buildings, schools, data centers, and student housing to retail, prisons, courthouses, and much more, precast concrete can reinvent itself every time it is specified. Precast concrete walls can be used for both exterior and interior applications. From exposed walls on the interior using insulated precast concrete panels, to a thin-brick veneer on the exterior, to precast concrete stairs, to hollow-core floor slab systems, to the double tees at the roof, to columns and beams, the places precast concrete are found in today’s construction are almost limitless. The final design of the U.S. Bank Stadium in Minneapolis features more than 5,000 precast concrete elements that would stretch 27 miles laid end-to-end. All of these pieces were cast at a local Minnesota plant and shipped to the job site in more than 1,500 truckloads. Long precast beams were utilized to minimize the need for columns and beam lines, ensuring great site lines from all seats. The outline of a building’s footprint can vary widely depending on several factors, including the zoning, site, and owner preferences. Precast concrete is able to accommodate a wide variety of configurations. The layout of a precast concrete wall system can maximize open areas and create flexible options for floor plans. Owners today often specify a 100-year life for a structure. When that goal is met with a precast concrete structural system, another benefit is the adaptable shell precast provides, meaning the building can be changed during its decades of service. The structural engineer can create a variety of applications that resist hurricane forces, blasts, and seismic events for all types of buildings. Tenants move, market conditions vary, personnel may shift, and technology advances. Through the appropriate choice of interior systems and access floors for connectivity, versatile precast concrete structures can accommodate change easily and economically. Using an open floor plan enables a flexible interior space that can accommodate any number of tenant scenarios. Column-free space allows additional flexibility in floor plans and layouts. Shallow floor thicknesses with few beams provide unobstructed ceiling cavities for mechanical and electrical systems. From its fluid state in a form to its varied use in and on a structure, precast concrete is adaptable and serves multiple purposes. Whether you value the wide spectrum of colors, textures, and finishes or rely on its stability, strength, and durability, it all comes down to the versatility of precast concrete construction. For the Capitol Federal Hall at the University of Kansas in Lawrence, Kansas, a mix of cream-colored precast concrete panels and copper panels add visual appeal. The total project cost was $70.5 million. The total square footage is 3,560 square feet for the Phase I: Chiller Plant and 166,436 square feet for the Phase II: Main Building. A precast concrete panel facade was used for the four-story building. The project includes 49,165 square feet of precast concrete wall panels. Integral color acid-etch finish was used on the exterior and integral color sandblast finish on the exposed interior. To build on the momentum of its national ranking and increasing enrollment, the University of Kansas needed a new facility for its school of business. 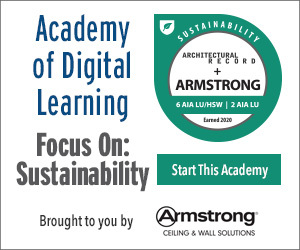 The school wanted a structure that would drive a campus-wide culture of entrepreneurship while achieving energy-efficiency and cost-saving goals. Given this diverse list of needs, the designers selected precast concrete as their medium. Designers wanted the students and faculty to see each other while going about daily routines to promote new kinds of interactions. To that end, they crafted sightlines to connect faculty workspaces and student classrooms. Staggered floors and openings further drive a sense of awareness and connectivity. On the exterior, the architects decided to forgo architectural cladding and instead used a series of insulated precast concrete panels to take advantage of the high-performance characteristics of the product. The exposed precast concrete provides a durable, lower-maintenance finish solution as well as energy-efficiency benefits. To achieve a visually appealing design, the panels were tapered to a V-pattern and broken up as a 4-inch concrete outer wythe, a 4-inch insulation layer, and a 4-inch concrete inner wythe (4-by-4-by-4 panel). Portions of the surface wythe of the panel protruded out as much as 10 inches at the apex of the V, while insulated spandrels span from column to column and hang off steel haunches. The slight inset of the panel allows for a shadow effect that varies as the sun moves. The slope and end of the cladding at the dean’s area create a cantilever to add another striking visual element to the design. To accommodate the size of the panels, much of the weight is braced back to the structure and suspended off of the steel. Additionally, short insulated panels span the long spans and support 12 inches of precast concrete above, transferring the loads back to the columns. The color and finish uniformity of the cream-colored precast concrete panels are accented by a series of copper panels, with the mixing of mediums driving the visual appeal.